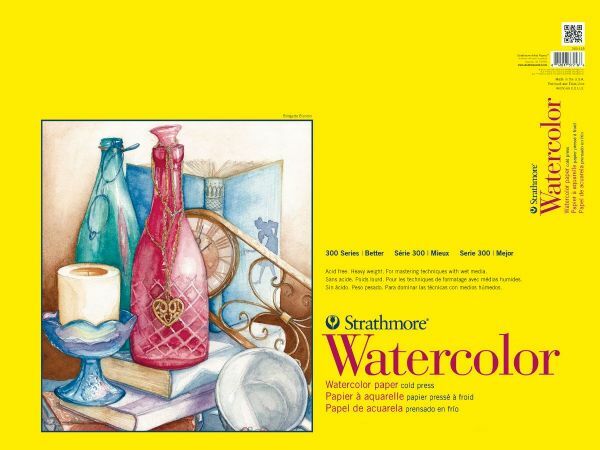 This economical heavyweight student-grade paper is best suited for beginning watercolorists for experimenting and perfecting techniques. * This paper has two distinct finishes: one side is cold press which is the most popular surface for most watercolor work while the other side is smooth with only a hint of surface texture. * This surface is ideal for detailed work. 30" x 22" x 0.02"